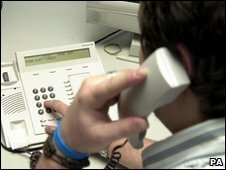 People who can choose their own working hours enjoy better physical and mental health, a report has suggested. Researchers for the Cochrane Library found employees who had control of their hours could have better blood pressure and heart rates. Its review of 10 studies of more than 16,000 people also said it might have a positive impact on mental health. Since 2009, parents in the UK with children under 16 have been able to apply for flexible working. Researchers at the Cochrane Library - an organisation which looks at published studies - found the key was workers, rather than employers, having control over their hours. Before April 2009, it was only parents with children under six or disabled children aged up to 18 who could ask employers for flexible work arrangements. The extension meant a total of 10 million parents were now entitled to request flexible working. The Confederation of British Industry welcomed the move but it warned that firms may find it difficult to grant requests for flexible working during the downturn. The Federation of Small Businesses said many small firms offered flexible working but working from home did not suit industries such as retail or construction.